Governor Walz recommended $1.6 million in one time funding to support activities through the State Demographer’s Office to encourage participation in the 2020 Census, especially in historically undercounted communities. (A copy of the Governor’s budget recommendation is below.) The Governor’s recommendation aligns with the strategies outlined in legislation that will be introduced in the coming days in the House and the Senate, though seeking a higher state appropriation of $2.5 million. 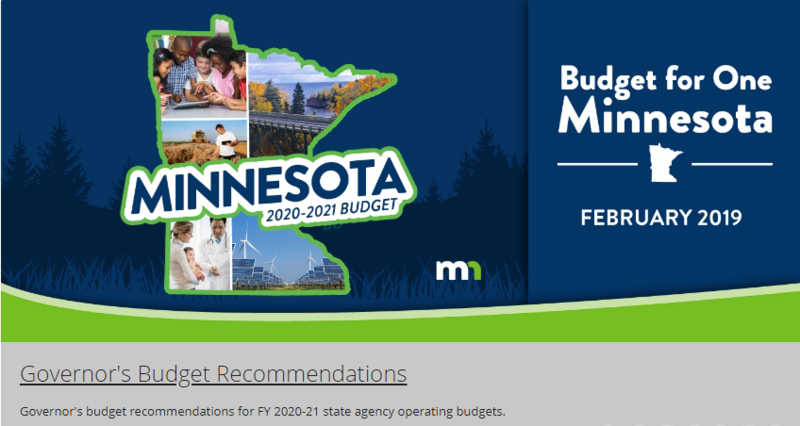 MCF is leading efforts, in coordination with the Minnesota Census Mobilization Partnership, is leading the effort to secure a state appropriation to boost participation by historically undercounted communities and, thereby, ensure a fully-inclusive, nonpartisan and accurate 2020 Census count in Minnesota. Contact the Governor and Lt. Governor and thank them for making a fully-inclusive and accurate census count a Minnesota priority. Contact your State Senator and State Representative and ask them “What is the state doing to get ready for the 2020 Census?” All you really need to do is ask the question, but if you want to share some thoughts about why you think the census is important read The Case for the Census.